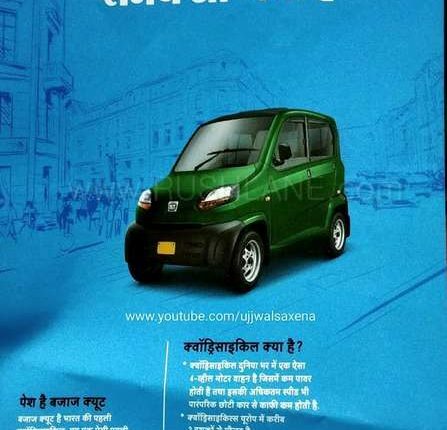 Six years following its initial showcasing, the Bajaj Qute is now officially the first quadricycle to be launched in India. 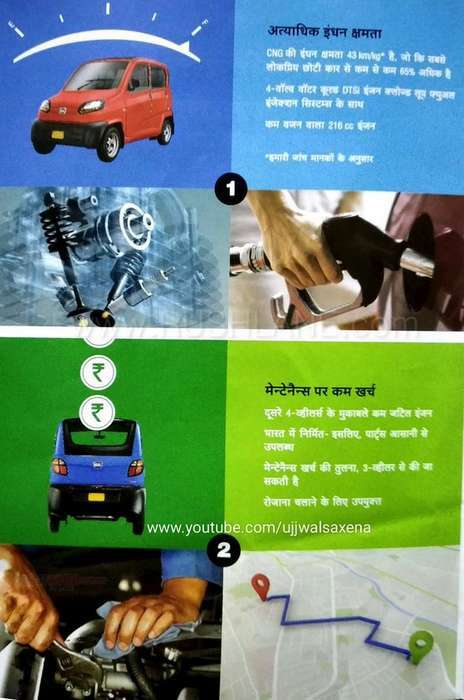 Hat tip to YouTube channel Ujjwal Saxena. 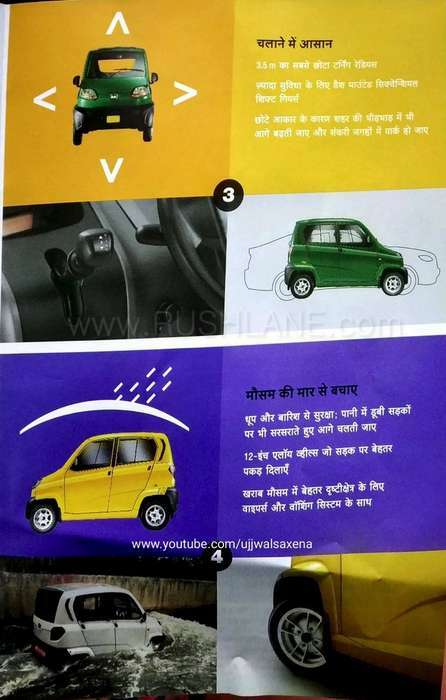 Bajaj Auto is set to take on small car makers in the country. 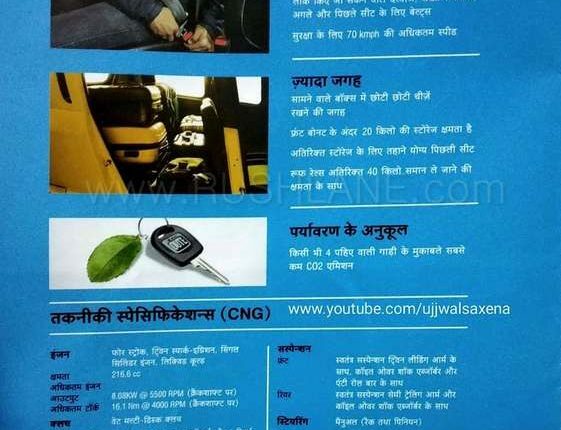 While it was currently used exclusively for commercial purposes, the recent government notification has cleared the Bajaj Qute for personal use. 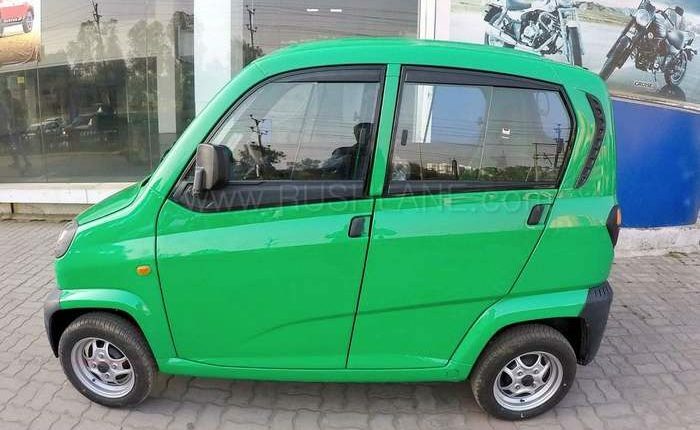 Bajaj Qute quadricycle is priced at Rs.2.63 lakhs, ex-showroom. 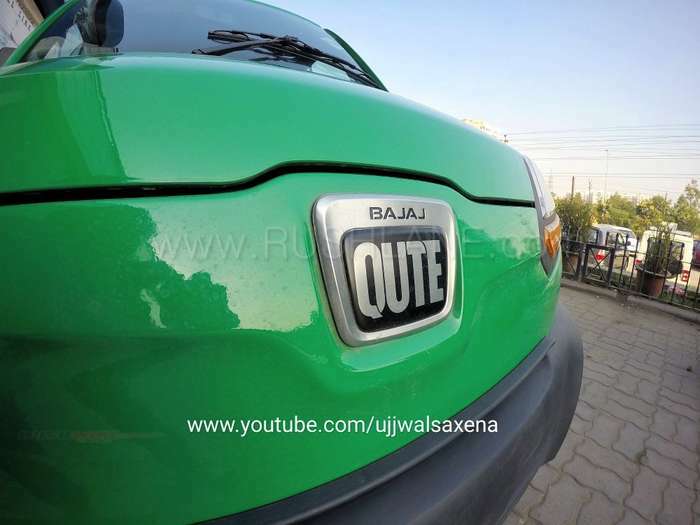 Bajaj commercial dealers have started stocking up Qute. Test rides have started. 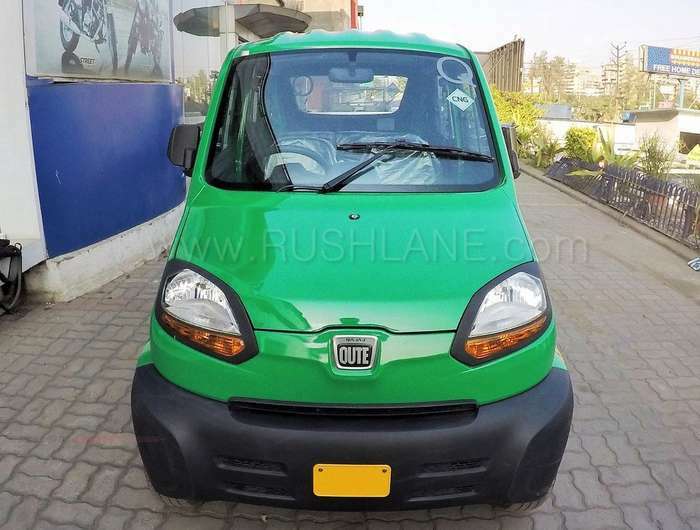 Speaking about Qute, it has a turning radius of 3.5 meters and a restricted top speed of 70 kmph. It has less power as compared to a conventional small car. 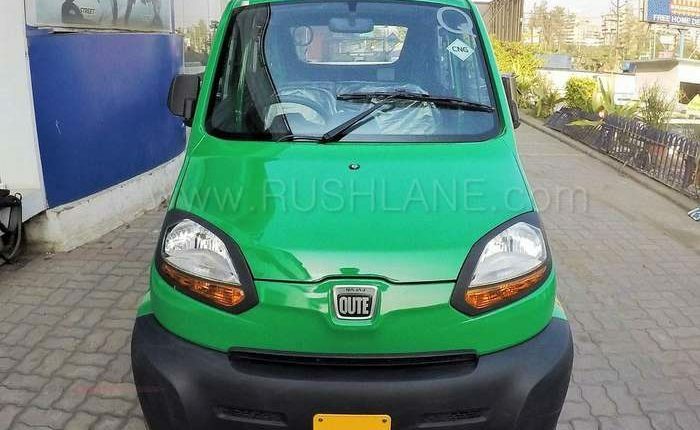 The Qute is compact and lightweight, easy to drive in congested road conditions, less polluting and fuel efficient. 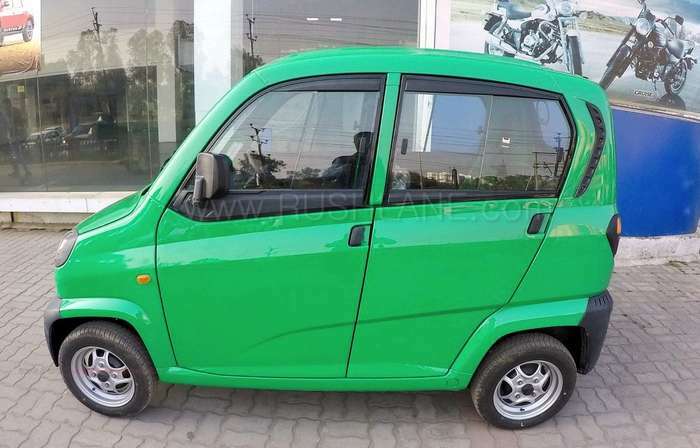 Bajaj Qute consists of a high strength metal polymer monocoque body, due to which weight is at around 400 kgs. 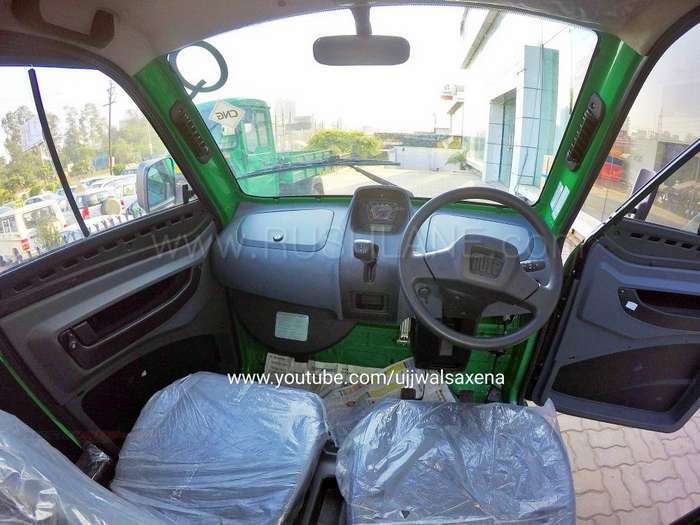 Bajaj claims that its impact resistant plastics allow for a safe cabin for upto 4 passengers. 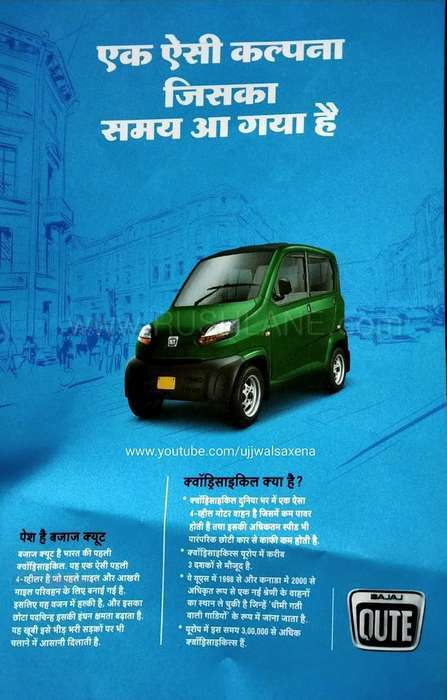 Like the Tata Nano, the engine of the Bajaj Qute is mounted at the rear with the boot space in the front. Foldable rear seats allow more storage space. 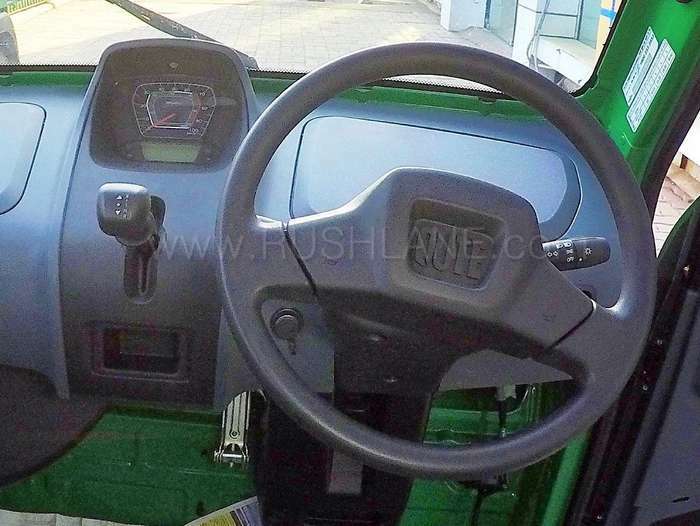 In terms of dimensions, the Bajaj Qute measures 2,752mm in length, 1,312mm in width and 1,652mm in height. 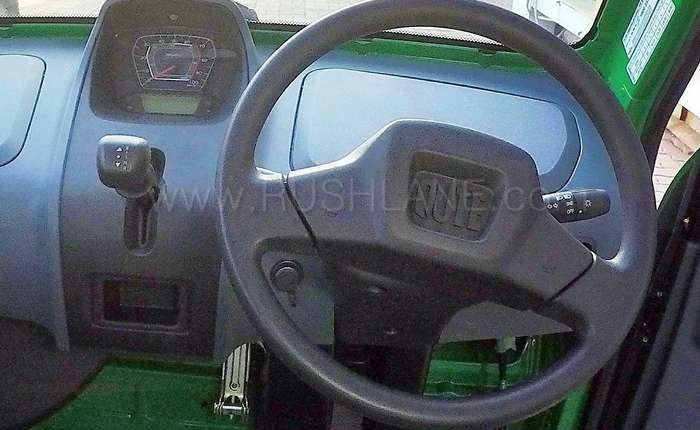 It is well within quadricycle dimensions which are at 3,000mm, 1,500mm and 2,500m, respectively. It gets a tall boy stance and narrow body, while it sits on 12” alloy wheels. 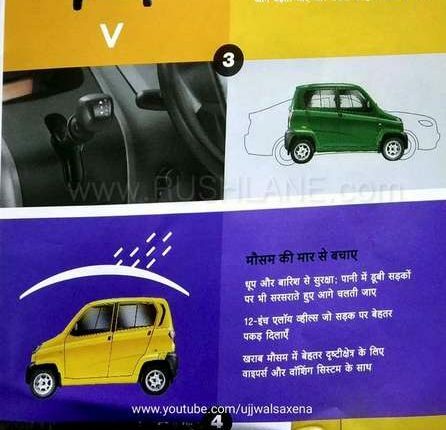 The Qute gets a simple halogen headlamp in the front while the Qute logo is seen on its front bonnet. Watch the walkaround video below. 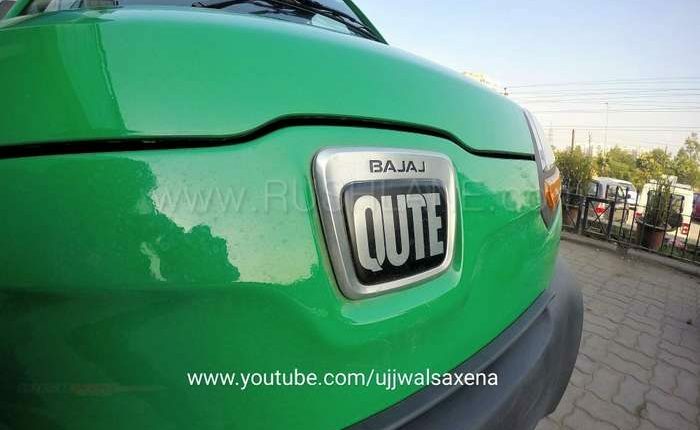 Bajaj Qute is powered by a 216.6cc, 4 stroke, twin spark ignition, single cylinder, liquid cooled engine mated to a 5 speed sequential gearbox. The engine allows for the lowers of CO2 emissions at 66 gms/km. 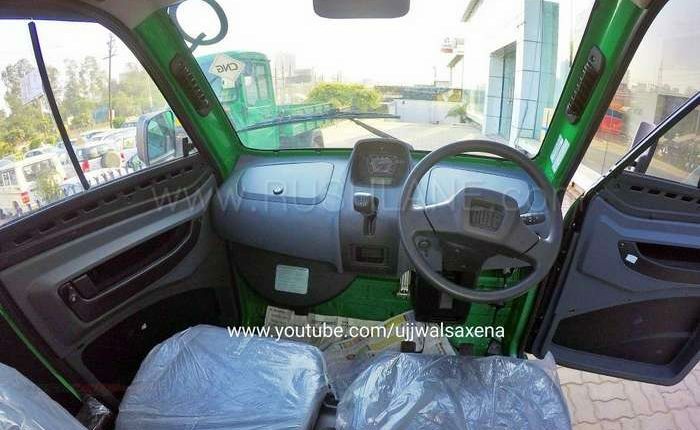 It gets an 8 liter petrol tank, while it also has a CNG option with 35 kg capacity. 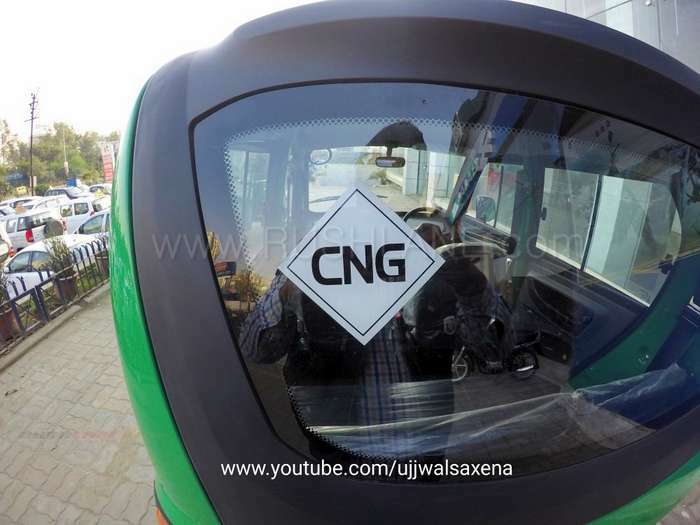 Fuel consumption stands at 35 kmpl for petrol and at 43 km/kg for CNG. 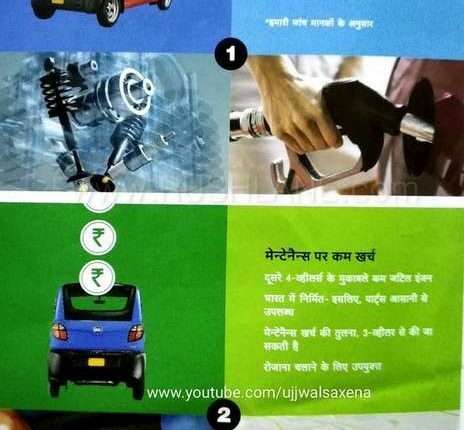 Apart from being fuel efficient, cost of maintenance is slated to be lower than that of a 3 wheeler with readily available spare parts. 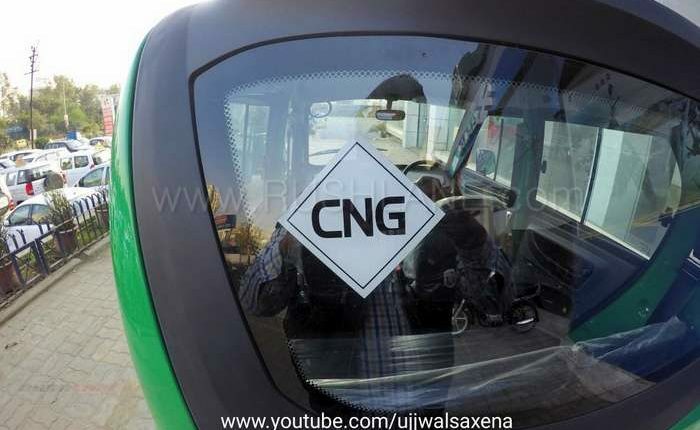 Prices stand at Rs.2,83,787 for the CNG variant and at Rs.2,63,741 for the petrol variant. 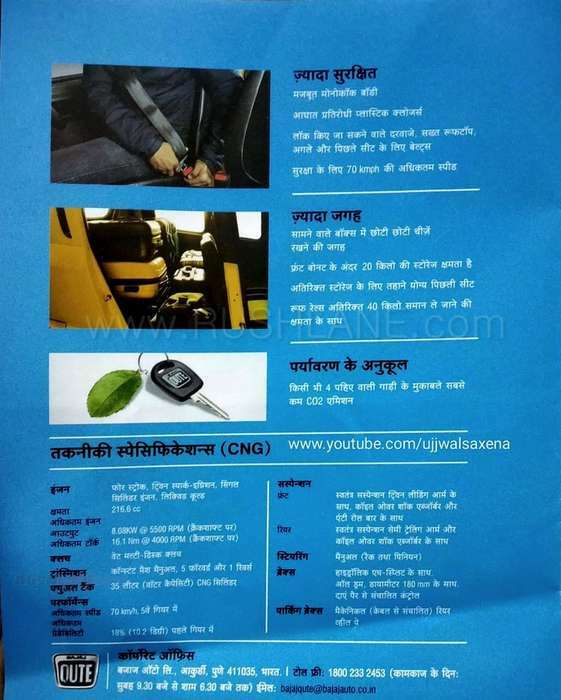 Below are more photos and brochure scans of Bajaj Qute.